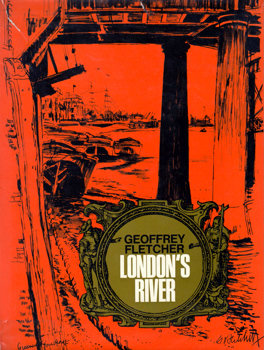 FLETCHER, Geoffrey (Geoffrey Scowcroft), 1923-2004 : LONDON’S RIVER. London : Hutchinson & Co. (Publishers), (1966). First edition. “A treasure-house for the serendipitist ... the off-beat, the eccentric, even the bizarre” – Fletcher in words and pictures in Greenwich, Deptford, Rotherhithe, Wapping, the Bankside, Battersea Park, Chelsea, the pubs of Hammersmith, Kew, Richmond, etc. Post 4to (28cm). (112)pp. Illustrations, many full page, by the author. Original boards; very good in the original Fletcher dust-jacket – a little worn, torn and repaired. 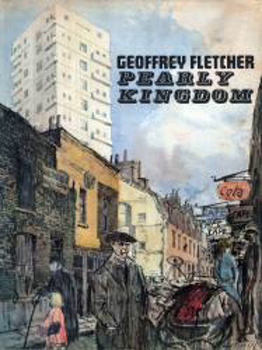 FLETCHER, Geoffrey (Geoffrey Scowcroft), 1923-2004 : PEARLY KINGDOM. London : Hutchinson & Co., (1965). First edition. Fletcher explores the “dim and disappearing” old East End of London. Post 4to (28cm). (102),[ii]pp. Colour frontispiece. Numerous full-page illustrations. Original boards; a few faint spots, but a very good copy in the original pictorial Fletcher dust-jacket – a little worn, creased, slightly torn and repaired. ROYAL ACADEMY OF ARTS : VICTORIAN AND EDWARDIAN DECORATIVE ART : THE HANDLEY-READ COLLECTION. London : Royal Academy of Arts, 1972. First edition. 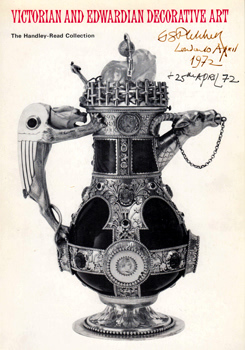 The exhibition catalogue of the superb collection assembled by Charles Handley-Read (1916-1971) and his wife Lavinia (1917-1971) – furniture, ceramics, glass, metalwork, sculpture, paintings, drawings, tiles, books, textiles, enamels, etc.- from the 1830s through to the early twentieth century. From the library of the distinguished illustrator and architectural historian Geoffrey Fletcher (1923-2004), with his contemporary ownership inscription recording two visits to the exhibition, his detailed annotation regarding a number of the exhibits, and (on the endleaves) his own impromptu drawings recording two of the items not illustrated in the catalogue – a gouache by Samuel Palmer and a small oil by Joseph Crawhall. Pott folio (30cm). (140)pp. Illustrations throughout. Original wrappers; wrappers lightly bowed and faintly tanned, but a very good copy. Return to Illustrators index page.